Ohaus Starter STSURF pH Electrode / Probe, 2.00 – 12.00 pH, 30129470. 2 in 1 refillable pH electrode, sutaible for flat surface applications, plastic shaft. 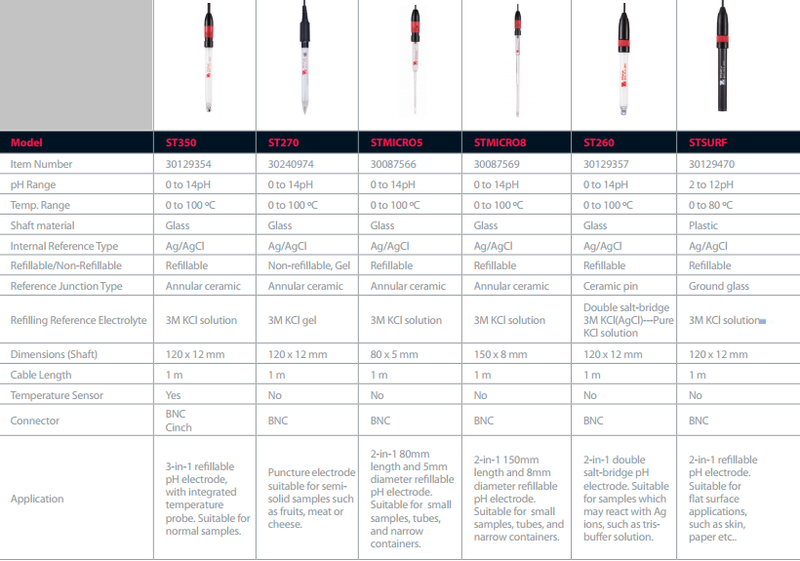 Backed by our commitment to accurate and precise measurement, the OHAUS Starter Series of electrodes are designed to produce exact results time and time again. The Starter Series includes pH, reference, oxidation-reduction potential (ORP), conductivity, dissolved oxygen (DO), and temperature electrodes that can be used in combination with Starter bench and portable meters.